Eat together, stay together. It's always fun when people come together to eat and be merry. 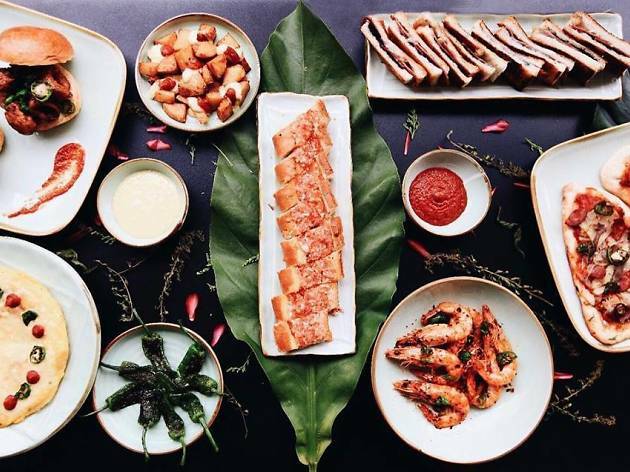 From buffet tables to steaming hot dim sum, we show you how to over order and make the most out of those sharing platters. Pile on the food, we're ready for more. The Spot is an all-day dining café, restaurant, bar and cigar lounge in one right in the heart of Singapore’s Downtown district. 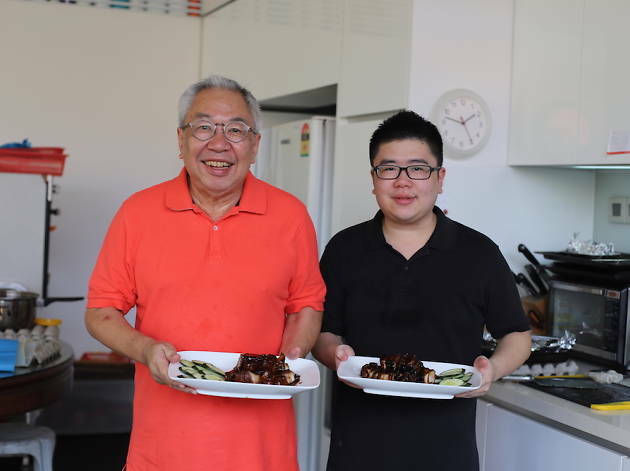 Pick up coffee and a sandwich during the day but come at night for a tase of chef Lee Boon Seng's food. Despite the restaurant's casual appearance, don't expect standard bistro fare. Try the pan-fried red snapper ($28) served in a green curry emulsion and torched eggplant and local skate ($25) that lies on a bed of pearl rice risotto covered in a coriander broth that evokes familiar memories of fish soup elevated through technique and novel combinations. The pork cheek barbecue ($26) is another winner. Thick slices of pork jowl are marinated and grilled bak kwa style and plated with potato mousseline and Chin Kiang vinegar caramel. 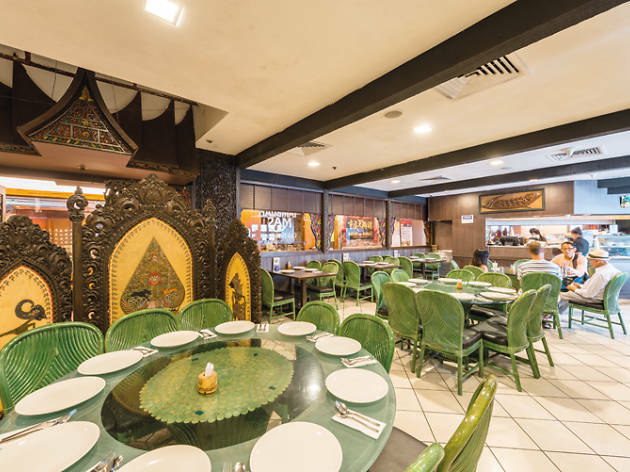 Having been around for over a year, Blue Jasmine offers a lovely alternative for those looking to graduate from the likes of Nankhon Kitchen or Thai Express. 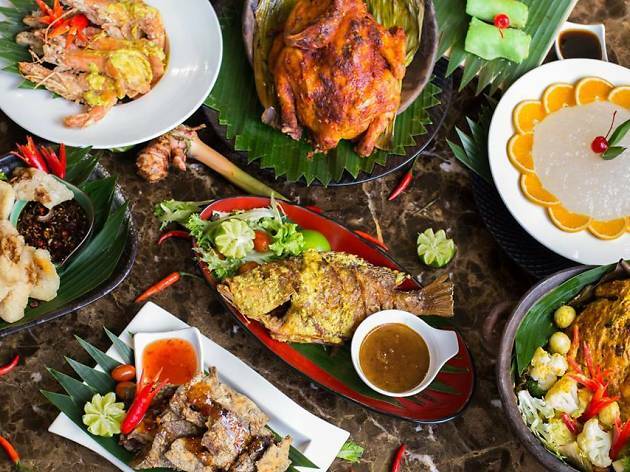 Located in Farrer Park Hotel, the 100-seater restaurant has consciously follow the culinary ethos of balance and harmony – a virtue the countrymen of Thailand have so steadfastly abided by. The restaurant reaches out for a hug with its cosy and rustic interior of plush seating, high ceilings, and patterned tiles that line the floors. 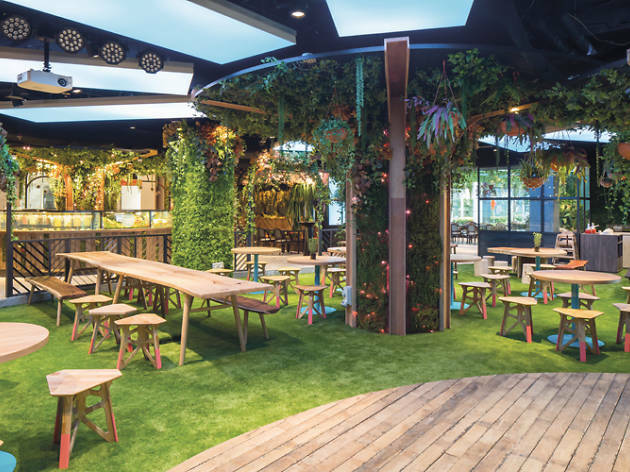 The space is then illuminated by warm lighting and just outside, lush greenery partially conceals its restaurant front. Blue Jasmine is your one-ticket around the Land of Smiles. 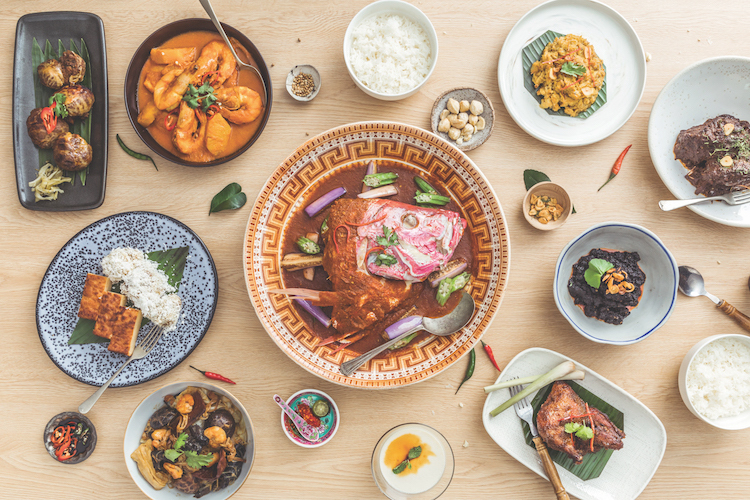 Built on the five taste pillars of sweet, sour, spicy, bitter and umami, the restaurant’s refreshed menu sends forth a parade of crowd-pleasing classics, and lesser-known regional creations that may change the way you think of Thailand. The former will certainly quell Thai cravings with the familiars of Stir Fried Pad Thai Prawns ($16), classic Tom Yum Soup ($20), and the signature Green Curry (from $24). But if you’re up for it, opt for Tom Yum ‘Poh Tek’ ($20) that has fried sea bass swimming in its fiery soup, Cham-Om fried egg ($12) paired with a handful of fresh vegetables and prawn paste-based Nam Prink Kapi dipping sauce, and turmeric-laden Yellow River Prawn Curry ($26). 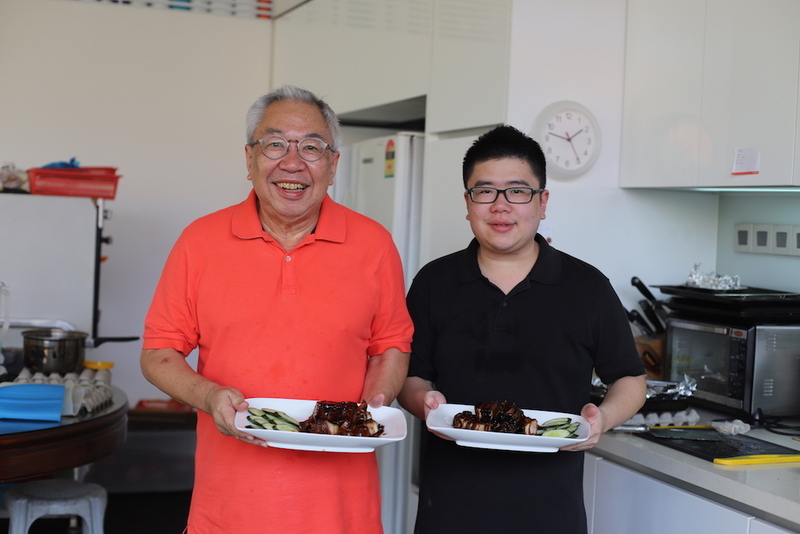 Are you all set for a history lesson in Singapore cuisine? 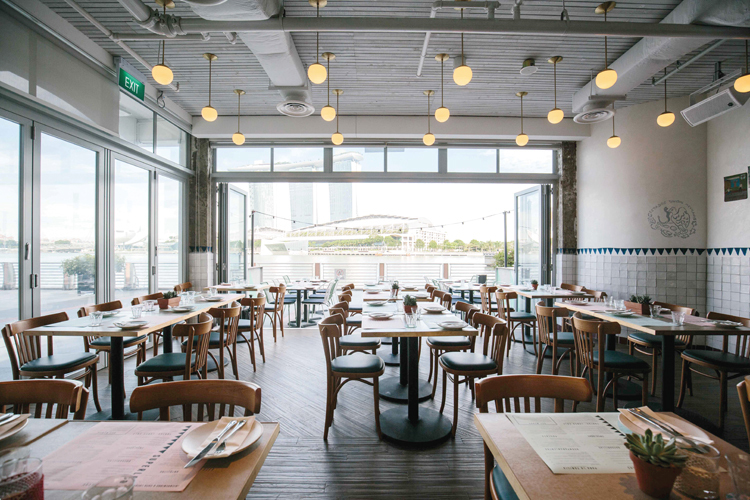 You better be if you make plans to dine in at Folklore, located in Destination Singapore Beach Road. 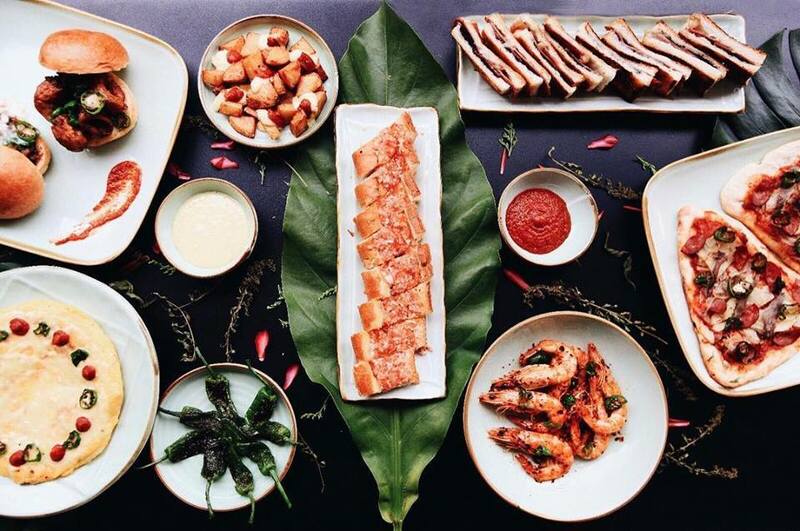 With Chef Damian D’Silva and his all-consuming passion for the culinary arts at the helm, the restaurant ticks off all the boxes that make up the body of Singapore heritage food. 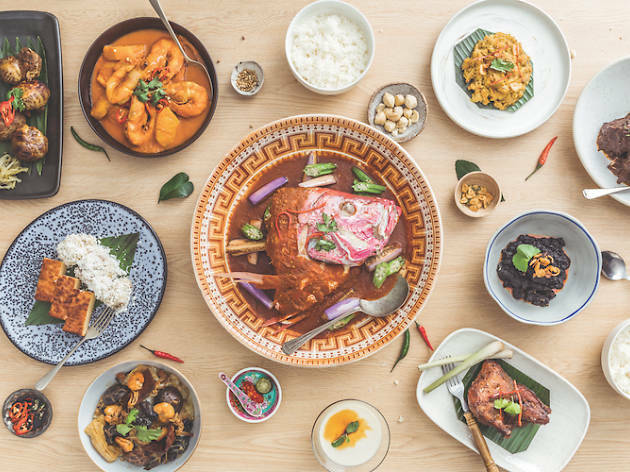 Here, you’d find a melting pot of Chinese, Indian, Malay, Peranakan and Eurasian cuisines that will not only set a Singaporean foodie’s heart aflutter, but also enrich the experience of a visitor from out of town. For the best dining experience at Folklore, come in party of four so as to stomach a wider variety of food items from the restaurant’s illustrious menu. Start your gastronomic history lesson with Bakwan Kepiting ($20), featuring crabmeat balls luxuriating in a potent prawn and pork broth, before adjourning to a slew of heartier savouries such as the fall-from-fork tender Beef Cheek Rendang ($36), the tamarind gravy-doused pork belly of Babi Assam ($22), and Ayam Goreng ($24) that embodies the age-old cliché of crispy on the outside, soft on the inside. With veggie sides of the Sambal Juliana with Fried Brinjal ($16) and the refreshing 4 Angled Bean Salad ($12) as perfect complements, we urge you to zero in on the Sambal Buah Keluak Fried Rice ($22), topped with a dollop of housemade sambal paste. The taste of tradition is right down to the concluding desserts, featuring the delights of Kueh Kosui ($6) and Kuah Bengkah ($10) (served with coconut ice cream) that will surely satisfy every fibre of your being, from the soft, jelly-like, flavourful gula melaka kueh to the baked tapioca cakes that sports a charred surface. 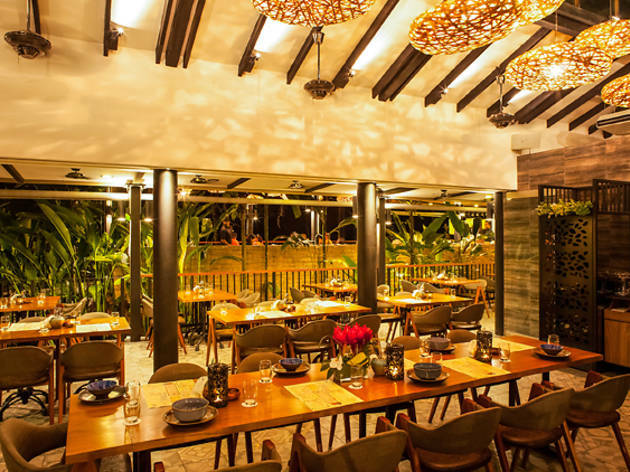 Located in the lush Singapore Botanic Gardens, aesthetically this place ticks all the boxes when it comes to lush surroundings, full-height windows for beautiful lighting and the option of tranquil terrace dining. More recently the resaturant has been certified Halal so all the better for your Muslim guests in the group. 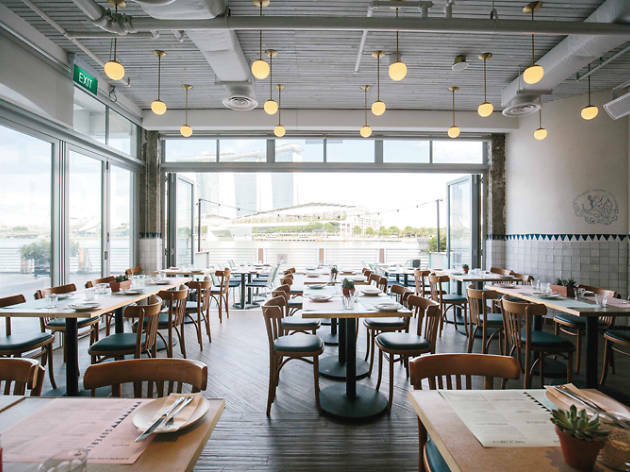 While there are menus for all-day, breakfast and brunch dining – which include the signature dishes like paperbag oven-baked halibut ($33) and the Halia's Singapore-style chilli crab spaghettini ($26), you can also opt for their communal dining menu ($240, serves four). Don't worry, some of the all-time favourites are so available on the menu. Residing in a colonial building, Botanico is easily accessible by car or a short stroll from the nearest MRT station. Housing two dining concepts, Bee's Knees on the first floor, you have to climb up a flight of stairs to reach this modern bistro. 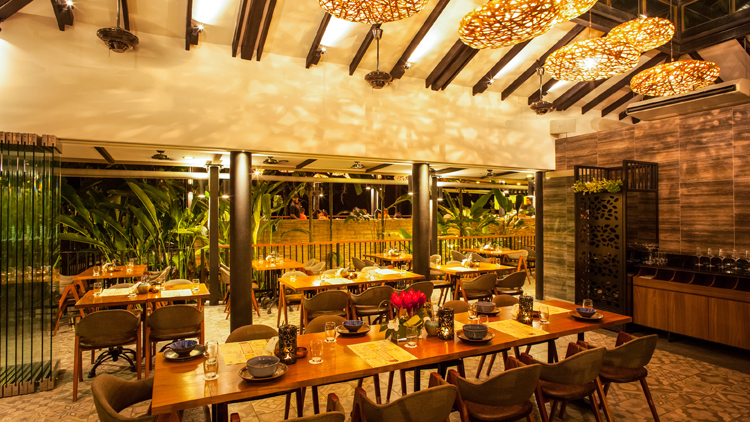 While you're going to be dining at the Singapore Botanic Gardens, opt for the terrace seating for the full experience. 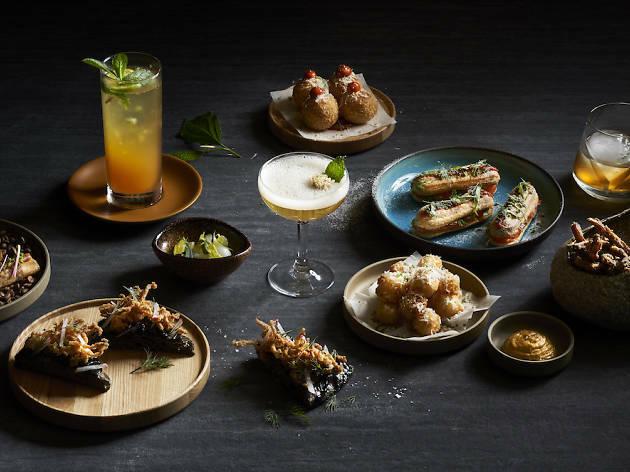 Spearheading the kitchen is Singaporean chef Sujatha Asokan, whipping up the bistro-style menu with its signature European methodology, weaved in with Asian influences. With a refreshed East-meets-West menu, expect dishes like the seabass ceviche ($17) served with a blend of cold ceviche and assam laksa that's topped with savoury shrimp paste ice cream and ginger flower, the curry lamb neck ($32) that's slow-cooked for 24 hours, slipper lobster chittara ($32) featuring fresh pasta smothered in house-made Chinese XO sauce that's finished with sous-vide slipper lobster and pickled baby turnips, as well as Iberico char siew ($34), a top loin smoked and chargrilled, served with carrot noddles, carrot puree and honey pork jus. A hot lunchtime spot, you'll notice snaking queues outside any Hjh Maimunah store before the actual lunch hour. Of course there's a reason for this: everyone wants first dibs on the food because trust us, it will run out. How it works is exactly like any other mixed rice stall where you get to choose whatever dishes you want and face the consequences at the cash register afterwards. If you've tried the tahu telor, Sundanese grilled chicken and the beef rendang, you'll understand why so many keep coming back for more. If you're feeling adventurous, try the lemak siput sedut – sea snails in a rich coconut broth. Stick around for some traditional Malay kueh and desserts after your meal. Best part? It won't cost you more than $20 ($10 if you're real frugal with your dish choices). 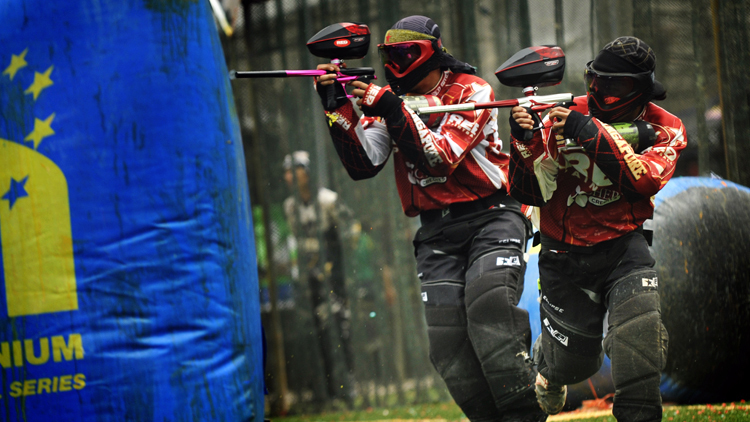 Themed restaurants are enjoying a resurgence in Singapore, and Picnic is looking to get in on the action. 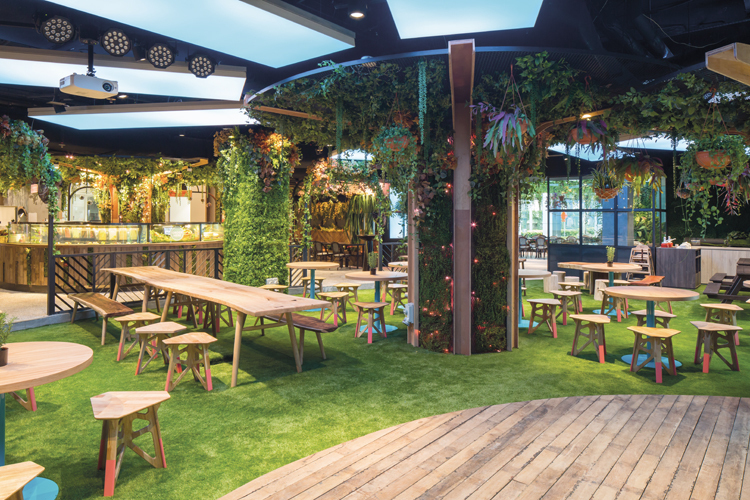 An assortment of ferns and succulents hangs from the walls of this park-themed restaurant, and there’s even an Astroturf lawn in the middle of the space that’ll make you feel as though you’re really picnicking in the park. The plants change in accordance with the seasons and the lighting adjusts with the time of day, so you can catch the ‘sunset’ while indoors. There are multiple tables for groups – we recommend zooming in on the one near the bar with a built-in ice-bucket for drinks – so head down early to picnic at the best spot. Order from any of the 13 stations that are set up as independent food trucks. Ezo is a Japanese concept that serves Hokkaido-inspired eats like butadon ($14/lunch, $19 dinner), a rice bowl with three cuts of pork (belly, collar and loin) all marinated in a sweet and savoury tare sauce and grilled to order. If you’re looking to share, go for the rotisserie half chicken ($23/lunch, $26/dinner), that’s served with your choice of mash potatoes or ratatouille. Go loco for tacos and all things Mexican at Super Loco Customs House. 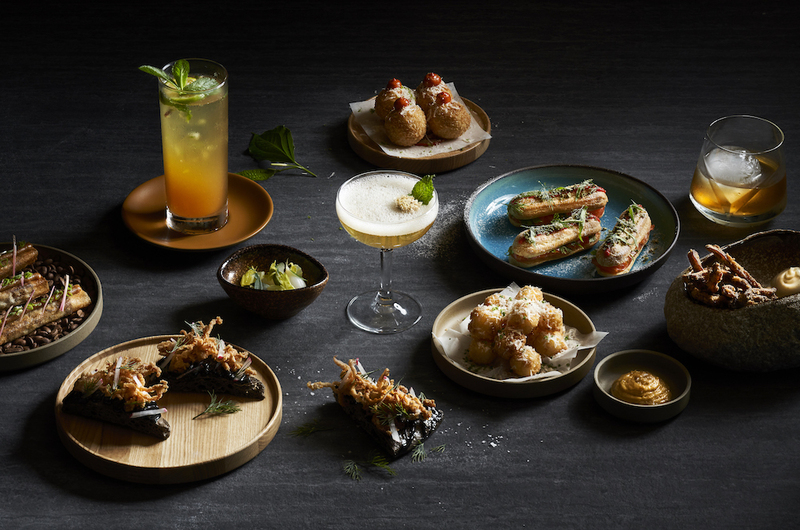 The contemporary Mexican Cocina Y Bar, located in the vicinity of The Fullerton Heritage, has stunning views of Marina Bay Sands and the waterfront. For groups of ten or more, grab a seat outdoors under the fairy lights. Smaller parties of up to eight can be accommodated indoors, but it’s best to book in advance as the restaurant fills up fast, even on weekdays. In a group, small plates are way more fun. Specialties include tlayuda cecina ($20) – a Mexican flatbread topped with black bean hummus, fresh queso Oaxaca, rocket and wagyu that’s been air-dried for three months – and de cangrejo ($14), a taco filled with soft shell crab, barbecued pickled pineapple, radish and lime mayo. If you’d prefer larger dishes to share, order the pescado asada con chile rojo y perejil ($46), a barbecued, locally sourced sea bass served with red and green salsas. 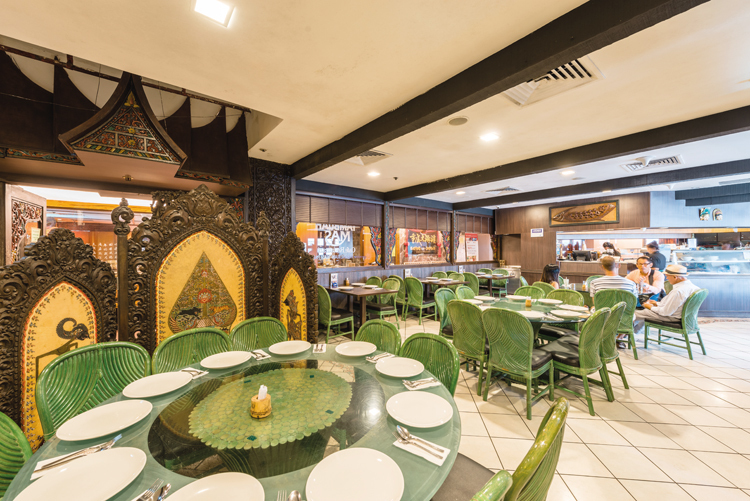 Tambuah Mas has been serving its loyal customers quality Indonesian food since 1981. 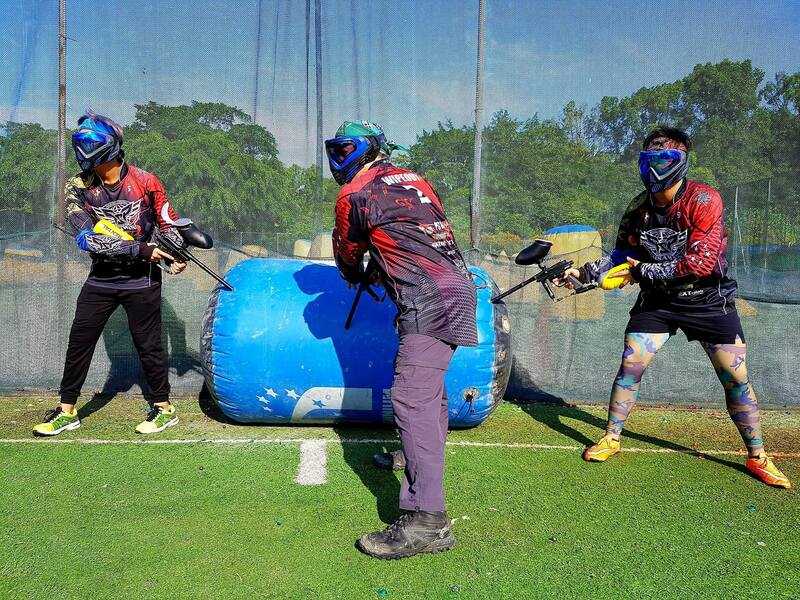 Its main outlet at Tanglin Shopping Centre boasts a larger space than the one at Paragon, and has a private room that can hold a party of 22. A partition adorned with Balinese wood carvings sections off another area. 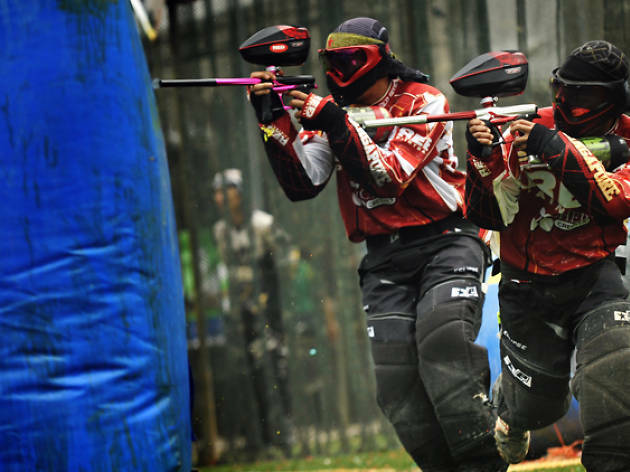 Here, you’ll find bigger tables that can house groups of eight to 12, giving your gathering some privacy even if you don’t hit the minimum spend of $600 for the room. 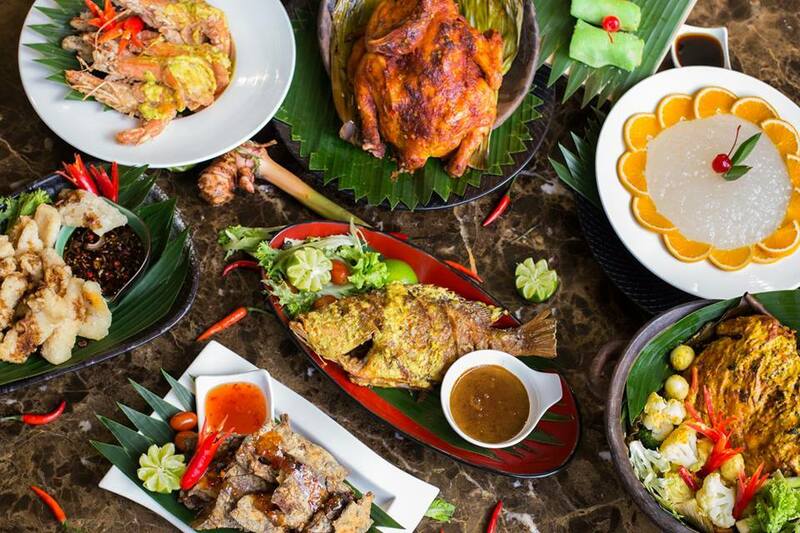 Expect traditional Indonesian cuisine done to a tee here. 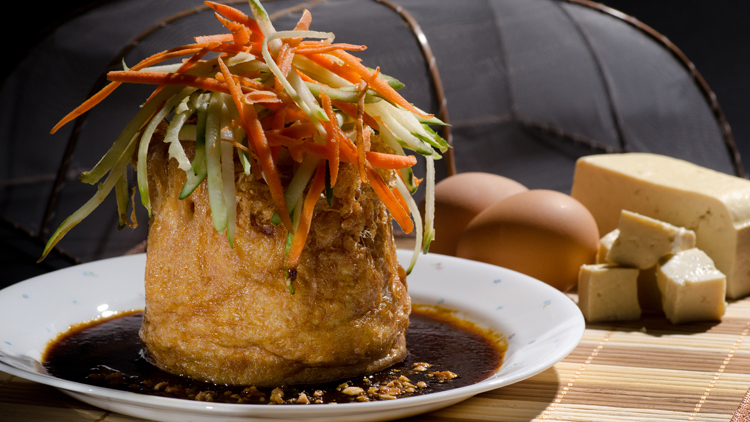 Take a quick glance around the room and you’ll find gracing every table a beautifully golden tahu telor ($10.50) that, despite being deep fried, isn’t overwhelmingly greasy. The fork-tender rendang lembu ($10.50) completely absorbs the flavours of the spices after hours of stewing. And heap everything over a mountain of nasi kuning ($2.50), yellow rice cooked in coconut milk and spices, to complete the experience. 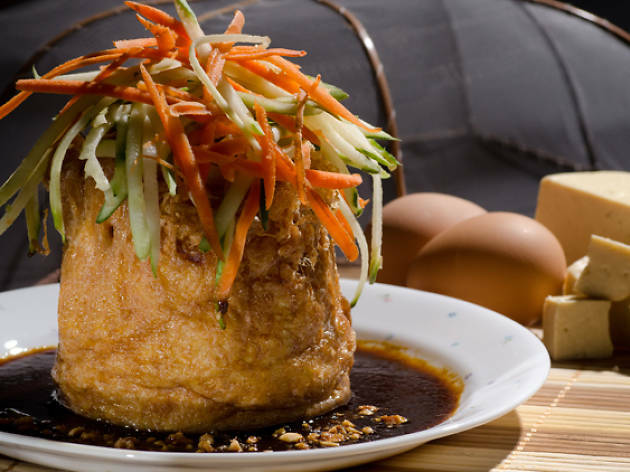 What started out as a humble zi char stall in a coffee shop along Defu Lane has mushroomed to over 30 restaurants in Singapore and dozens more across the globe. Its new flagship has also moved from the dingy industrial estate to the glittering hallways of Marina Bay Sands. The 177-seat restaurant has eight private rooms and is elegant without being intimidating – after all, this is a place to tuck into crabs with your hands. The main private dining room can hold 15 people, but can be combined with another room to seat 30, and the tables in the main hall can fit eight to 12. Even though you can’t go wrong with local classics like the chilli Sri Lankan crab, try some of Seafood Paradise’s other crab offerings, too. The creamy butter Dungeness crab, topped with coconut crumbs, is a popular choice – but our favourite has to be the fried bee hoon with Sri Lankan crab, kissed by a smoky aroma from the wok.